Just wish I could still edit the first page So people can see everything without needing to scroll through the entire chat to find specific masks. I ordered Titan scale MoUP and Worn Vahi during -20% New Year sale on shapeways and they just arrived :P. But I'm quite busy at the moment, so I will start sanding them and preparing for painting since Monday. Both will be painted in Citadel Auric Armour Gold. My Vahi G2 also come today, and I already painted it in Citadel Auric Armour Gold. 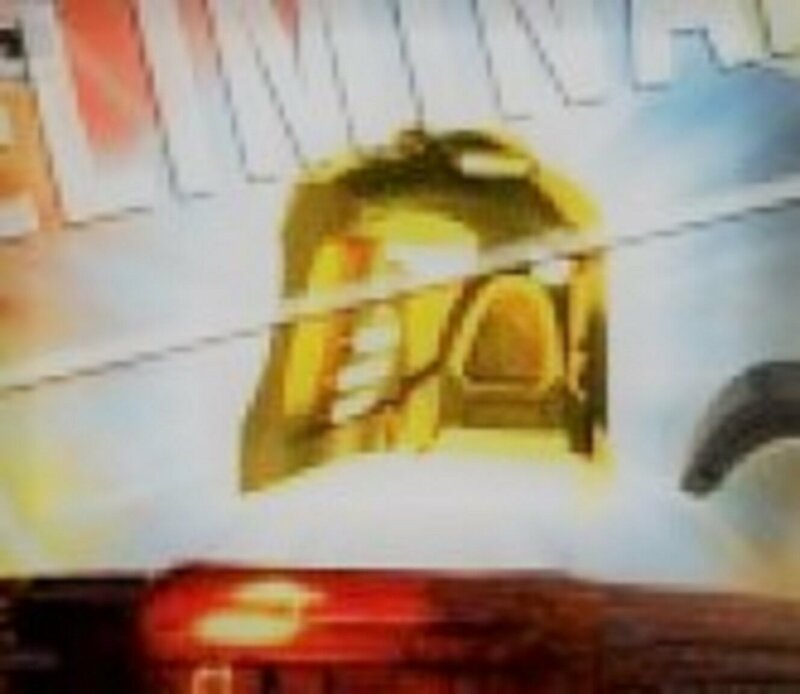 Do those fit together as well as they appear to in that picture? @Cyber-Hand? Is the current MoUP design the final one? Sadly not, even a little touch would make G1 Vahi fall off. 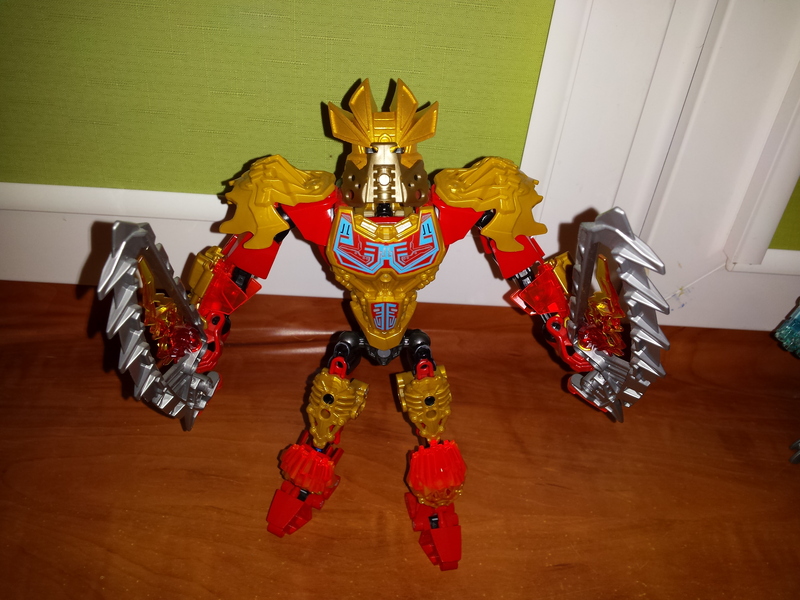 Maybe, but it shouldn't cover all face like G1 Vahi, showing that it isn't complete mask. 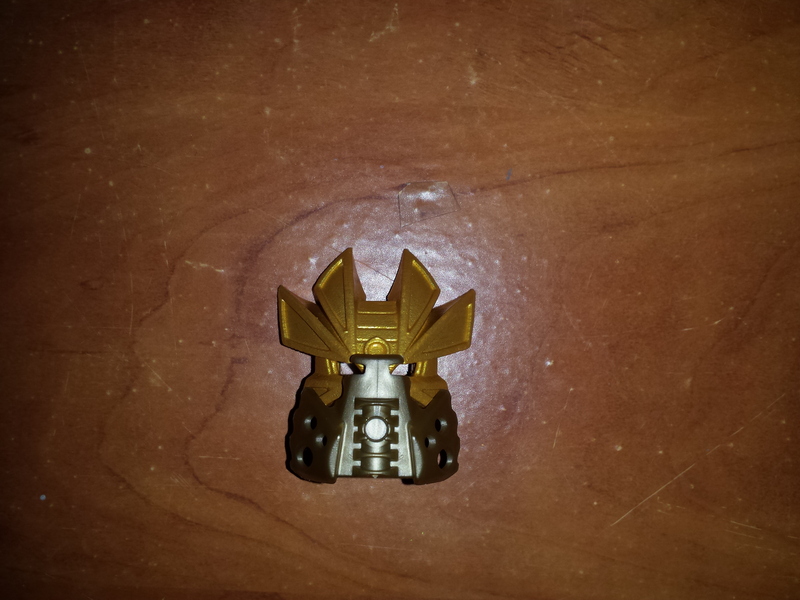 And I'm going to keep mask in my Makuta hand on display. Sweet! I was wondering what the Vahi WITHOUT the mouth flap looked like... and it looks good! Just ordered myself the Vahi in matte gold steel. 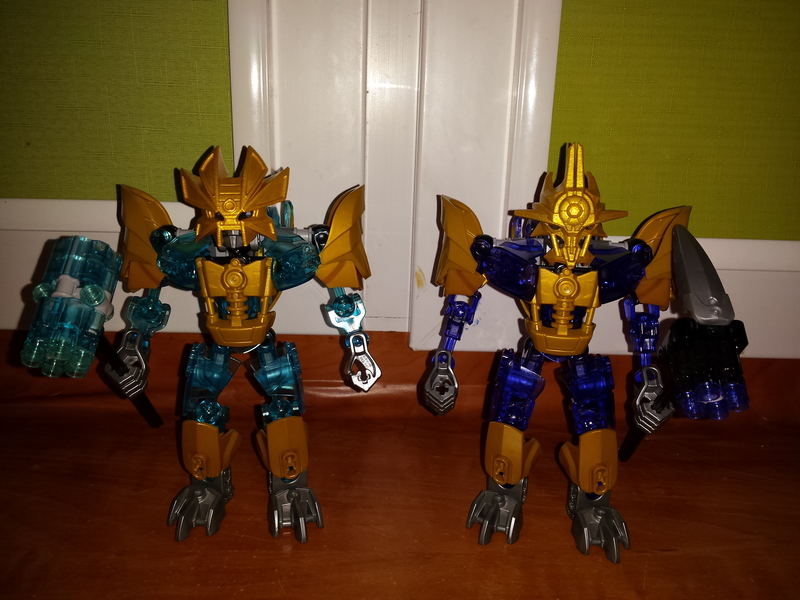 I'll post color comparison pictures with some of Legos gold pieces when it arrives. 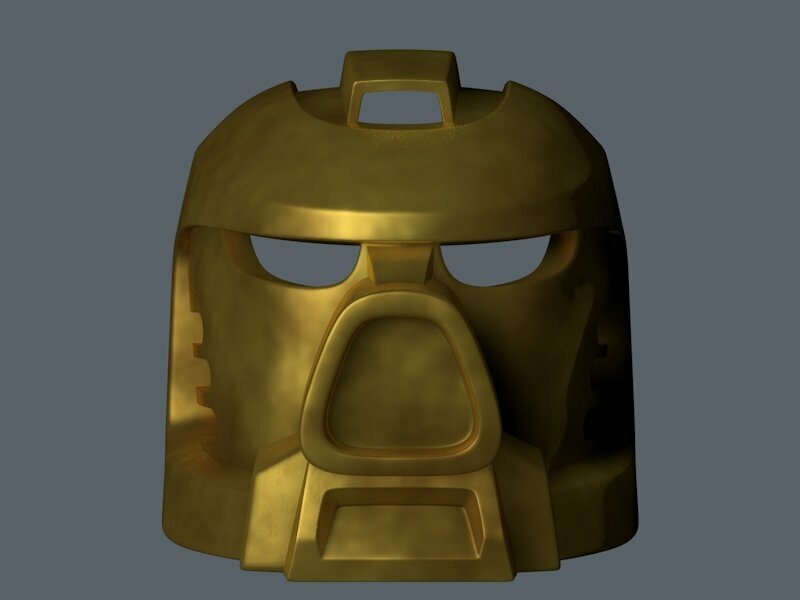 I don't think anybody has actually ordered any masks in the matte finish yet, and I'm interested in the results. So, I had a thought for a new project. How about recreating the prototype squid launchers seen here? Have you ever thought of creating your own G2 mask designs? Man so much has happened since I got my MoUP. 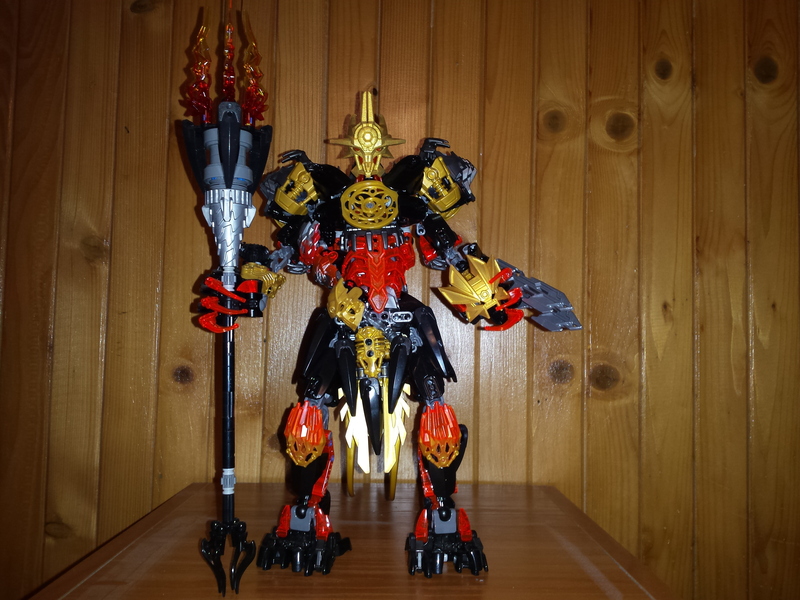 I kind of forgot about the BIONICLE community for a while, and therefore forgot about this thread. 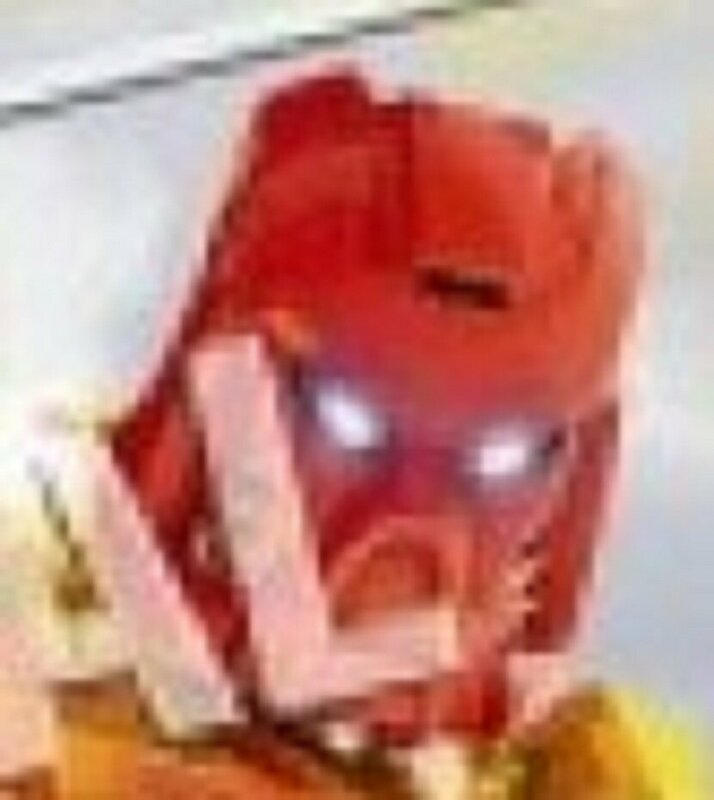 It's hard to remember that even though BIONICLE is dead, the community never will be. Those masks of time both look fantastic. I'm super excited to see all the things our resident mask maker will bring us in the future. Sorry everyone for the long time since I have posted. I have been working on a rather large project for the past few weeks. Well guess it is time to reply to everyone. 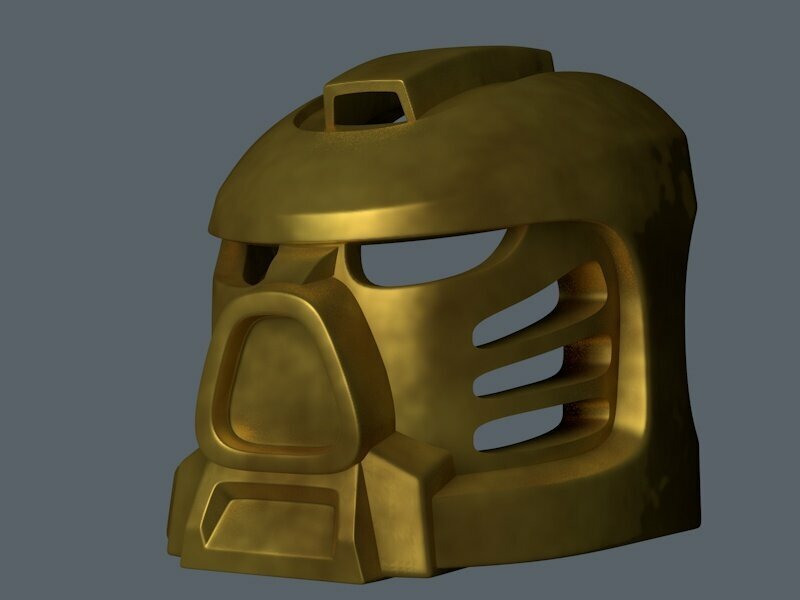 Just wondering how progress on your G1 + G2 mask of time has been going, any changes? None at the moment. I am currently doing commissions for several people. The prototype Hau we saw in the art for the box stand in 2014. A full scale Mjolnir hammer. Another custom Avohki for someones Moc. I was wondering if you could make this mask from some 2015 concept art (it is not in the art book, however you can find many pictures of it online). I'm talking about the "rocketeeric" design. That would be an interesting event. 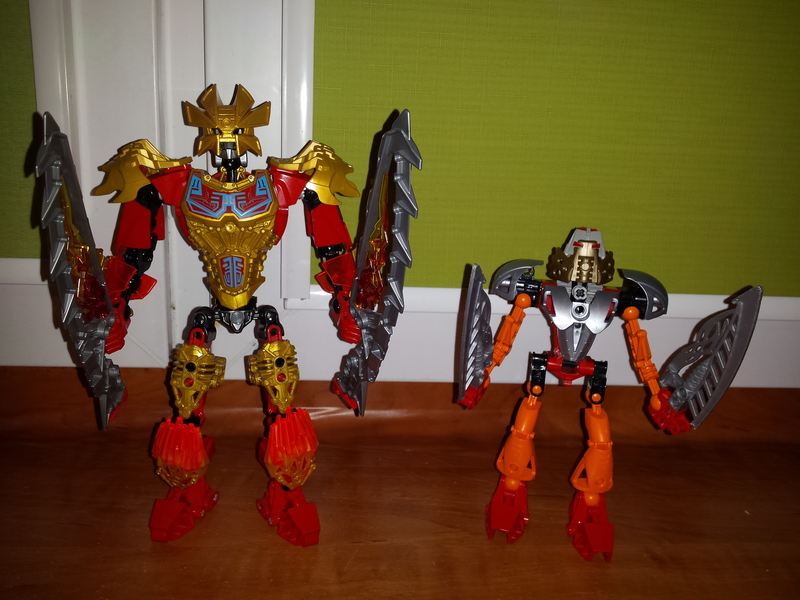 I can imagine a bunch of matoran wearing costumes of Rahkshi, borohk and makuta. Is the 2016 Vahi completed? I'm looking to get all the masks in one order. Also, is there a list of changes from he last version until now? Thank you! It is. All the version numbers were from me uploading the model several times to make sure it printed properly. Awesome, Have you done that yet and taken photos, I would love to see what gold paint you used. Beautiful work as always. 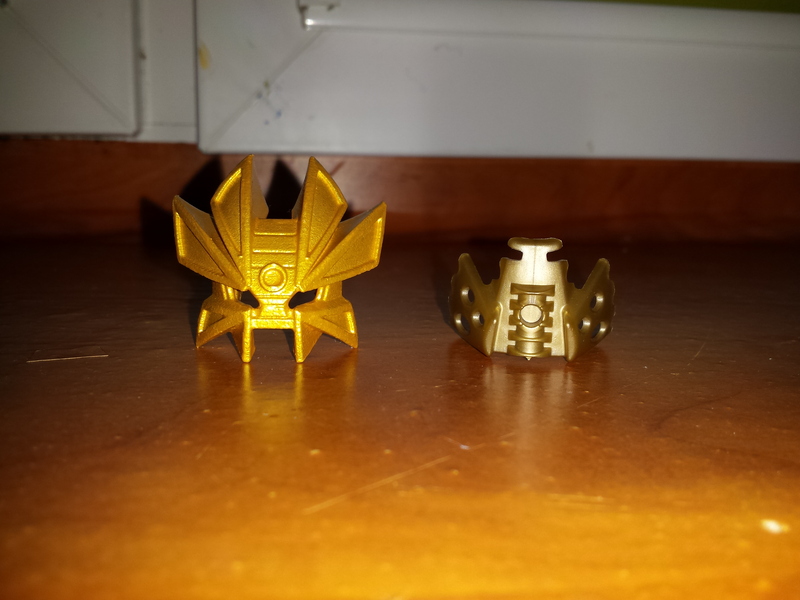 Can I use them for Shapeways like to last photos you took? It is pretty much done. There will be one more version comming eventually but that will only be to make some very small tweaks to make it more accurate. If you get the version now and the next you will barely be able to see the differance. So, I had a thought for a new project.How about recreating the prototype squid launchers seen here? I can try to do it in a bit. The squid lauchers don't work the best as they are. I can't imagine the texture of a 3d printed one will work any better. 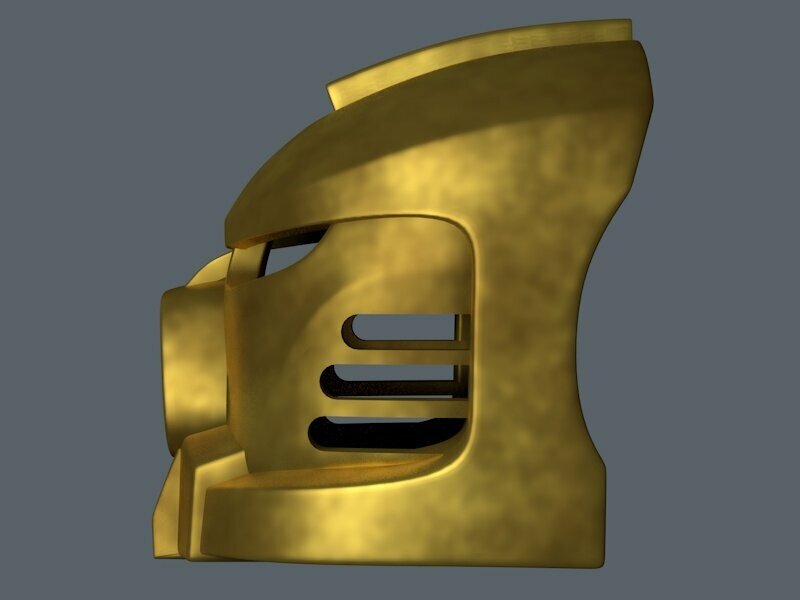 Although I love to 3d model and create things, I am not very good at coming up with my own designs. I am very good at making stuff from concept art and movie stills though. It takes me a very long time to come up with a model of my own that I like. As far as I am concerned, I will always be a fan and making stuff from the series and universe. (one day I will have a wall with all 6 golden mata masks.) And I have started coming up and reserching stuff for a future project I think everyone here will love. Thanks I am looking forward to making more masks from the concept art book. Those leg armers for example will be the next thing I make. And I am glad you brought that mask. Someone has commissioned me to make it. I have two versions at the present. This one which is accurate to the image. And this one which I have altered to resemble the original hau a little more. I think it's too squared, the art makes it look like it narrows towards the top, at least imo. From the two images we have, I can't see what you mean. 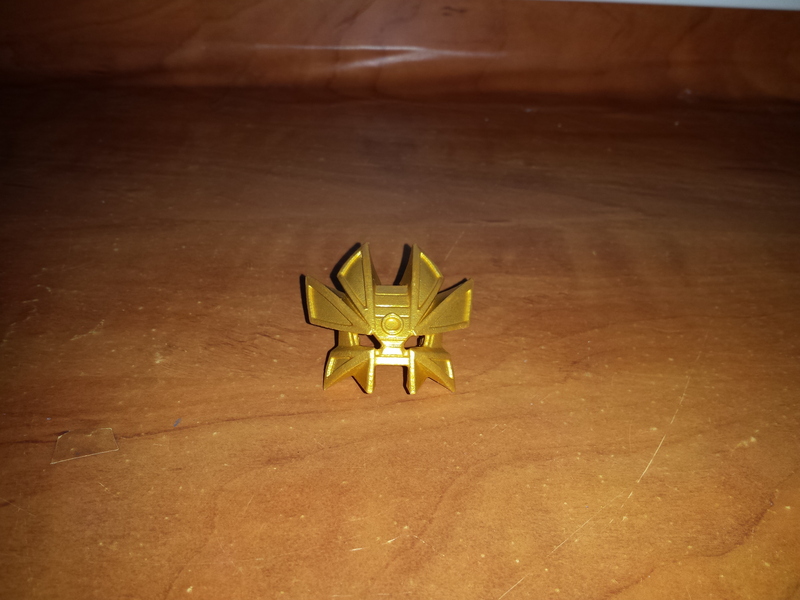 Anyway the person that commisioned me thinks the second one I made is perfect, so it is the one going to Shapeways. 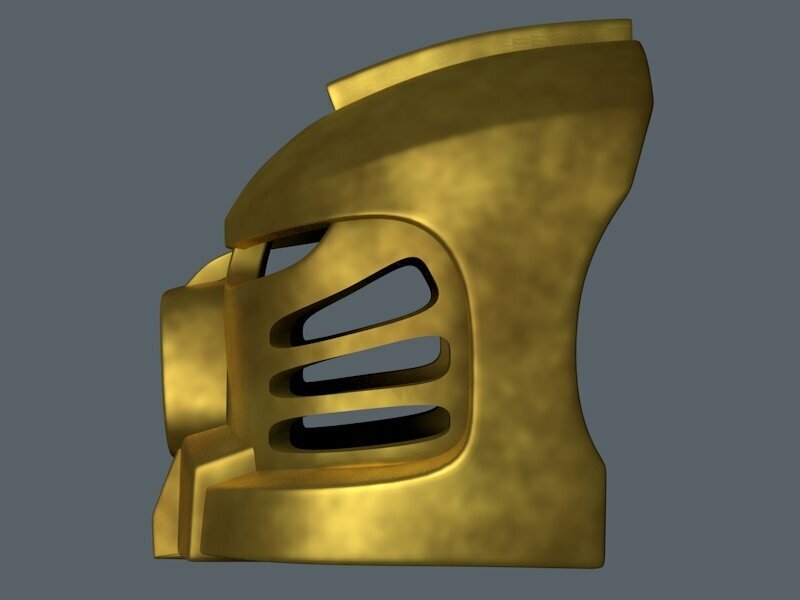 It could just be the angles, but the mask looks wider at the bottom and narrower at the top. Like the hau nuva but not to the same extent. Thanks! I really appreciate your dedication.